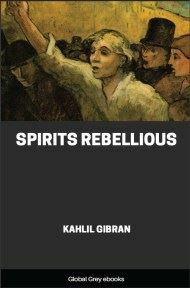 A book so powerful it was burned in the marketplace of Beirut at the time of its publication, Kahlil Gibran's Spirits Rebellious is a clarion call for freedom in his homeland of Lebanon; for individuals and society. 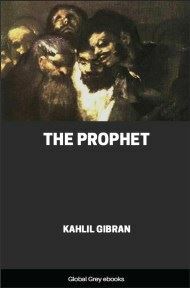 His bitter denunciation of religious and political injustice flows through the three parables, that of "Madame Rose Hanie," "The Cry of the Graves," and "Kahlil the Heretic." Miserable is the man who loves a woman and takes her for a wife, pouring at her feet the sweat of his skin and the blood of his body and the life of his heart, and placing in her hands the fruit of his toil and the revenue of hi s diligence; for when he slowly wakes up, he finds that the heart, which he endeavoured to buy, is given freely and in sincerity to another man for the enjoyment of its hidden secrets and deepest love. Miserable is the woman who arises from the inattentiveness and restlessness of youth and finds herself in the home of a man showering her with his glittering gold and precious gifts and according her all the honours and grace of lavish entertainment but unable to satisfy her soul with the heavenly wine which God pours from the eyes of a man into the heart of a woman. Rashid Bey Namaan was generous and good-hearted, but like many of the Syrians, looked only at the superficial things instead of reality. 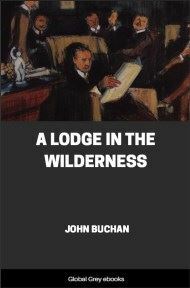 He never hearkened to the dictates of his heart, but busied himself in obeying the voices of his environment. H e amused himself with shimmering objects that blinded his eyes and heart to life’s secrets; his soul was diverted away from an understanding of the law of nature, and to a temporary self-gratification. 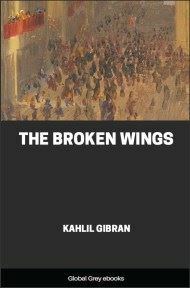 He was one of those men who hastened to confess their love or disgust to the people, then regretted their impulsiveness when it was too late for recall. And then shame and ridicule befell them, instead of pardon or sanction.